Regardless of whether or not you intend to invest in owning your own home staging inventory, you are still a business, and your business takes place in other people’s homes. Not only will the insurance protect you from any liability (such as mistakenly leaving a light on that later bursts and starts a fire, or accidentally knocking over a precious heirloom), but it will also establish you as a professional and genuine company. Less really is more when it comes to staging, but you still need to ensure that you are meeting the main principles and goals of your service – to clearly define the space, showcase the features, and sell the experience of living in the home. Every item used in home staging should serve a purpose – use the goldilocks method – not too much, not too little, but just enough! Keep things neutral, but not sparse. You want to create an experience, and sell a lifestyle, while maintaining effective flow and marketing the home. Effective home staging will showcase a home. One of the most important tasks that home staging intends to accomplish is to properly define each room, and that means defining the size of the room as well. This means selecting the proper scale of furniture to best showcase the space. Staging a room can help buyers to better visualize the space, and show them the optimal furniture selection and placement for the room. A common mistake made by new home stagers is the use of furniture that is either too large, or too small, for a room. This can adversely affect the flow and perception of the space, and overall creates an unappealing room. Home staging is an effective marketing technique that integrates decorating with marketing to create an experience for homebuyers. It is about more than just furnishing a room – it’s about selling a lifestyle. Just because something is pretty, does not mean that it should be used to stage a room for sale. Staging items should not overpower the features of a space, but should accentuate them. If you are trying to market to everyone, you are often reaching no one. Take the time to understand who your ideal client would be, and create your marketing messages to resonate with them. Be deliberate with your marketing. Identify where your ideal client hangs out, and connect with them on their turf. Do you want to work with large real estate teams, or smaller, independent real estate agents? Do you want to work in luxury homes, starter, or mid-level homes? It’s not to say that you won’t work with a client just because they don’t fit your avatar, but having a clear marketing plan with a specific target will help you to create a stronger relationship with those that you do wish to work with. Many that enter into the world of home staging do so for a love of home décor, and while you might know your damask from your gingham and your finials from your fascia, understanding real estate terminology and dynamics is critical to success. This is something that your home staging certification program should cover, but be sure to clarify before you register to ensure that you will get the coverage that you expect in your course material. Just because you are a new home stager, does not make you any less qualified – don’t undervalue yourself and your expertise. Set yourself up for success from the beginning by demanding to be paid your worth. Review industry standards, evaluate your expenses, and be diligent in setting your prices. You have invested in your home stager training, you have invested in the registration and launch of your business, and you have overhead, just like any other business. You deserve to be profitable, regardless of how long you have been in business. It’s not uncommon for clients to request a discount on the promise of future business – instead of offering a discount now, provide value and show them that you’re worth it – they’ll be knocking down your door to hire you again! If you’re so inclined, reward them on future projects as a thank you for their loyalty. 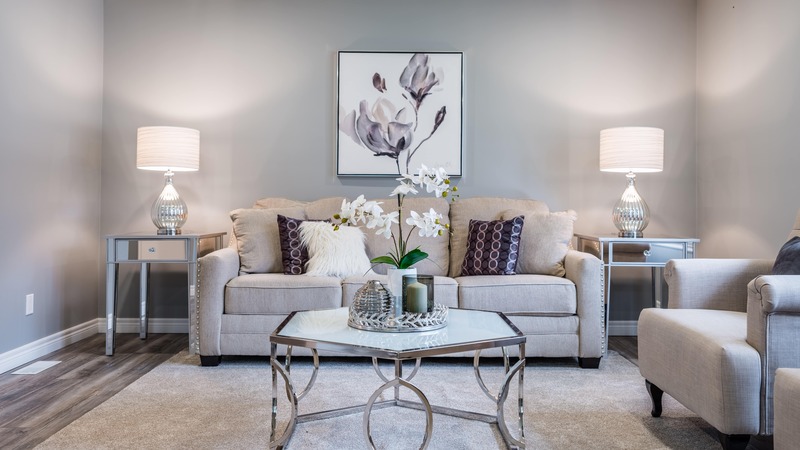 It’s easy for a homeowner to create a pre-conceived staging plan in their mind – they are emotionally connected to their home, and often can’t see your final vision. 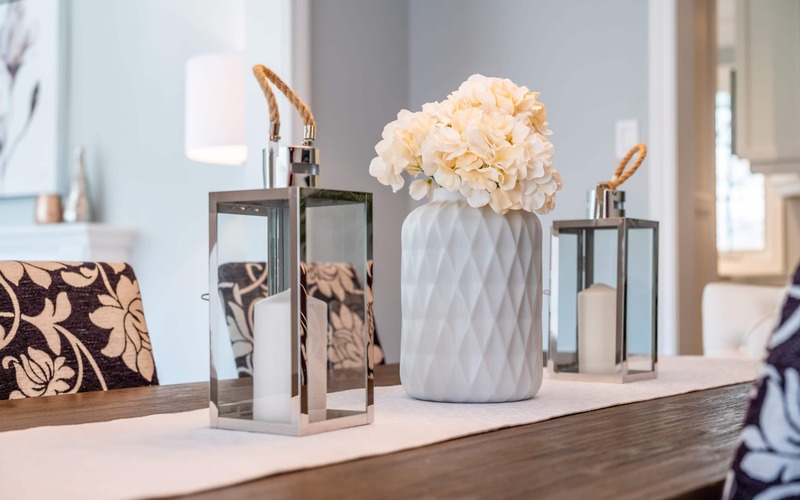 While it is important to select staging items that will work well with the style of home, it may not always be to your client’s personal taste. Remember – home staging is NOT interior design – take the time to understand the demographics of the buyers that will be interested in the home, and direct your marketing to them. One of your greatest traits as a home stager will be your ability to empathize and relate to your clients. Because of this, it can be difficult to avoid letting your emotions get in the way of running your business as a business. Abstain from doing unpaid “favors” for that real estate agent friend, or giving more than you quoted to that client in the tough situation – do what you can for them based on their budget, and focus on providing them with low-cost solutions for maximizing their home’s potential. Remember, you have bills to pay as well. Your clients are paying you for your expertise, and your quality home staging services, including your staging rentals – be sure that you deliver on this. If an item is marked down, there is often a good reason for it – just because it’s a good deal, doesn’t always mean that it is a good staging item. You will score some great finds – be frugal, and be creative, but don’t be shabby – provide quality home staging items and maximum value to all clients (that said, you wouldn’t be the first home stager to deplete your own home décor for the sake of a staging project – ensure the items are well-maintained, and only do so when absolutely necessary to get the job done). As with any profession, proper certification and training is critical to success. The investment in a quality certification program is just like the one that you would make to become an accountant, a plumber, or any other skilled profession. While you may have a natural talent that will serve you very well in this industry, it’s your training that will make you an expert in your profession, one that your clients will be happy to pay for. Regardless of your natural talent or previous design training and experience, a qualified home stager training program will provide you with “techniques” for showcasing and merchandising a space, as well as an understanding of the home staging processes, buyer insights, managing your clients, and so much more. This will not only save you time and energy by providing you with essential skills, tools, and resources for home staging success, but it will also provide you with the support that you need, especially when you’re first starting out. Interested in learning more about becoming a Real Estate Staging Professional? Check out our upcoming FREE training – REGISTER HERE!